This technique was introduced to me by the 3D printer project Zatsit. 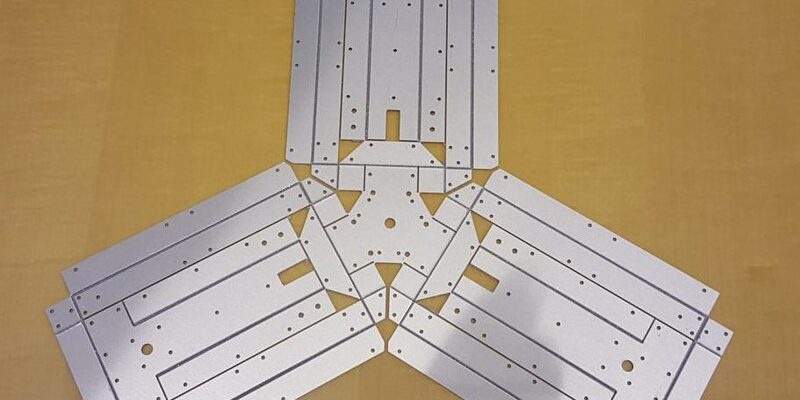 The method consists of using an aluminium composite called Hylite, which is a sandwich of 200um of aluminium, 400um of polypropylene and another 200um of aluminium. 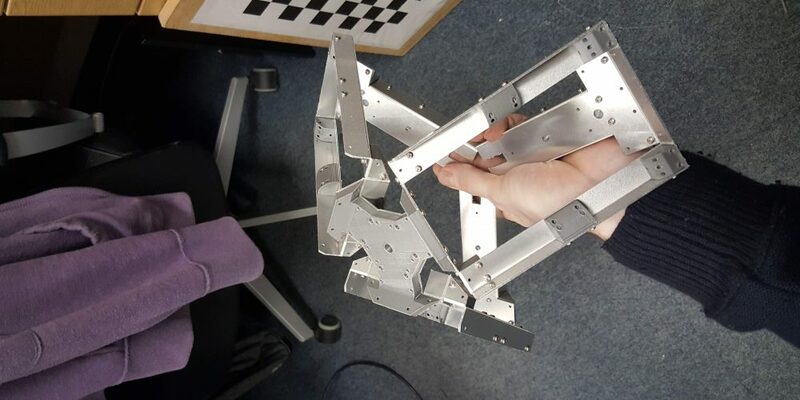 This material is very rigid and light which makes it ideal for making parts for delta robots, however there is an additional unexpected benefit of such a sandwich. If one mills away the top and bottom surfaces of aluminium the layer of polypropylene can act as a hinge. Polypropylene has very good longevity as a hing as it forms what is called a ‘living hinge’. This is a polymer hinge that self heals as it is used, making it’s life span nearly indefinite under reasonable use. 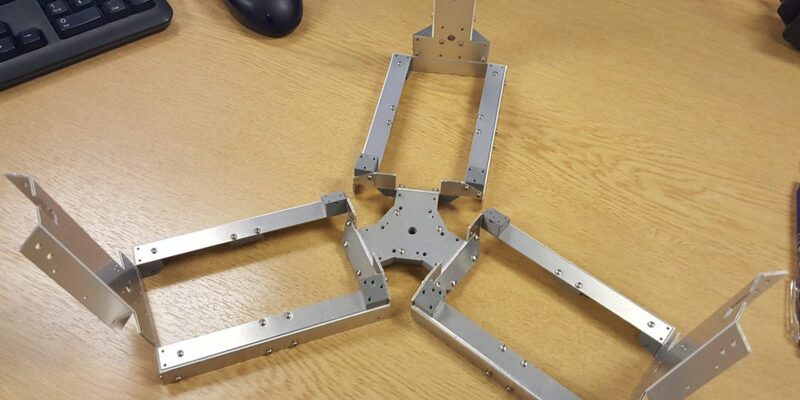 This has allowed me to design a delta linkage that is all in one piece, with hinges already integrated. 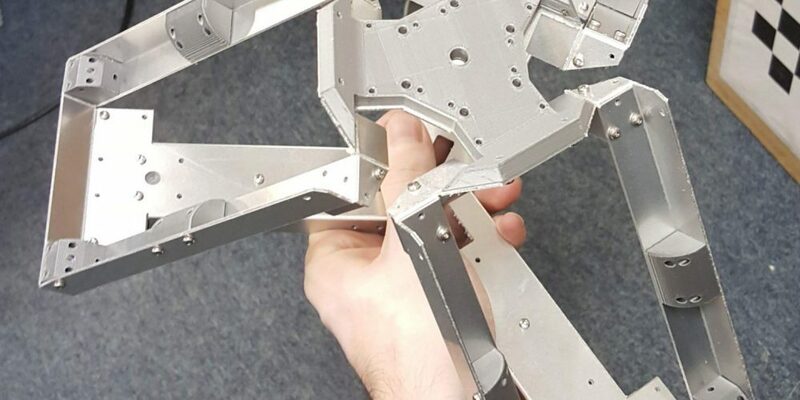 Additional 3D printed parts are used for fixing certain bends at 90 degrees, though all of the critical lengths are set in the single CNC process used to cut out the linkage and add all of the hinges.